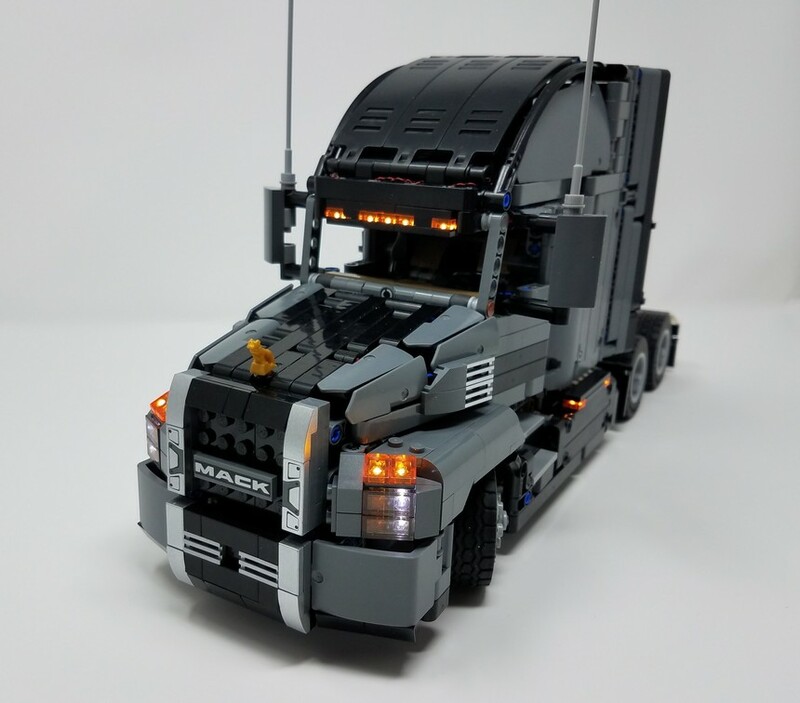 Mack Anthem with Brickstuff lighting. Comes up to 35 cool white PICO leds, and I lost count of all the extensions and connectors. Fantastic work, Shane. Thanks for sharing! I would completely agree that the cool white show very well through a translucent brick. Its no offense to Rob's colored lights but I have only ever used the cool white PICOs on my truck, tractor, and current builds. Shane Limbach No offense taken! 95% of the lights we sell are warm or cool white. I agree sean miller that using the white LEDs gives you a lot more flexibility down the road if you want to re-purpose the LEDs for another build. That is awesome job on the Anthem Mack Truck. I want to light up a friends and put flood lights on the trailer and a flood light on the back of the rig.